130502-037 On Thursday 2nd May the 'Boston steel' ran to the earlier path, leaving Washwood Heath at 11.31. as 6Z07 to Boston docks. Entrusted to class 47 no. 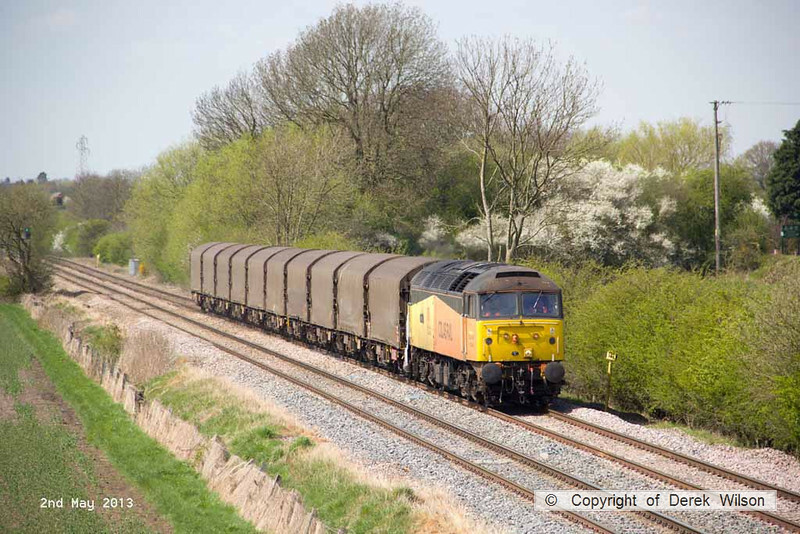 47749 Demelza, it is captured in the sun, passing Barrow upon Trent.